First Ever RLM/Teach All Nations Conference in Congo ! ​July 2017 Redeeming Love Ministries partnered with Teach All Nations to hold a ministers conference. 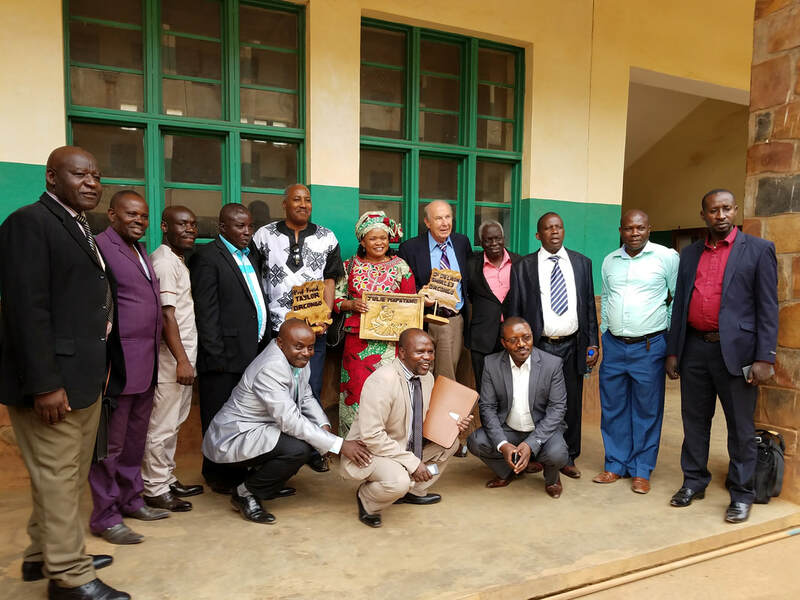 Dr. Delron Shirley and Pastor Fred Taylor joined us in the Congo for a week of teaching and ministering to the pastors in Bukavu. Many pastors came from many neighboring cities, over 600 pastors attended the conference ! They were very blessed with teachings and discovering their position in Christ . What a blessing ! ​For years, National Sorghum Producers have advocated for increasing the use of grain sorghum, or Milo, as an ethanol feed stock. Lately, the idea seems to be gaining steam. “There’s been increased interest over the past few months, to encourage the population in the DR Congo to grow more of this product because it does help a lot with malnutrition’s specially in kids and elderly people .RLM just had their first harvest, what a blessing! This year we had the opportunity to have two trips to the DRC. Our trip in June was centered on bringing our FIRST EVER RLM INTERN , Corey Jones, from the University of Florida. He stayed in Luhwindja for ten weeks, researching and evaluating the strengths and weaknesses of the RLM operation in the DRC. We are very pleased with his work and we cant wait to hear his full report of his time in Luhwindja.